It came to me while watching ...And God Created Woman for the Shooting Down Pictures project, that Brigitte Bardot may be the only reason why this film is on the 1000 list. And yet, Bardot's talents as an actress are dubious - is she truly deserving of being in such esteemed company, when many other, arguably more talented actors and actresses may not have a single representation on the list? Bill Georgaris at They Shoot Pictures Don't They had asked himself the inverse of this question back when he compiled The Shooting Gallery, a list of the most important - or the luckiest? - actors in film history based on the number of their appearances in the TSPDT 1000. Which explains why the likes of Jack Carson or Harry Carey Jr. are listed alongside Robert DeNiro and John Wayne. Though in all fairness and auteurial deference, Bill remarks, "It's fair to say that the reward (artistically, that is) for striking up lasting working relationships with better filmmakers is high indeed. Not the least of which is an appearance on this list! Would Robert De Niro, for example, be on this list if it was not for Scorsese? What about John Wayne (if not for Ford)? Or Toshiro Mifune (if not for Kurosawa)?" "Interesting statistical question, and one that I actually hadn’t thought about. But, I’ve investigated within my database, and have come up with these famous names without a single film in TSPDT’s Top 1000. 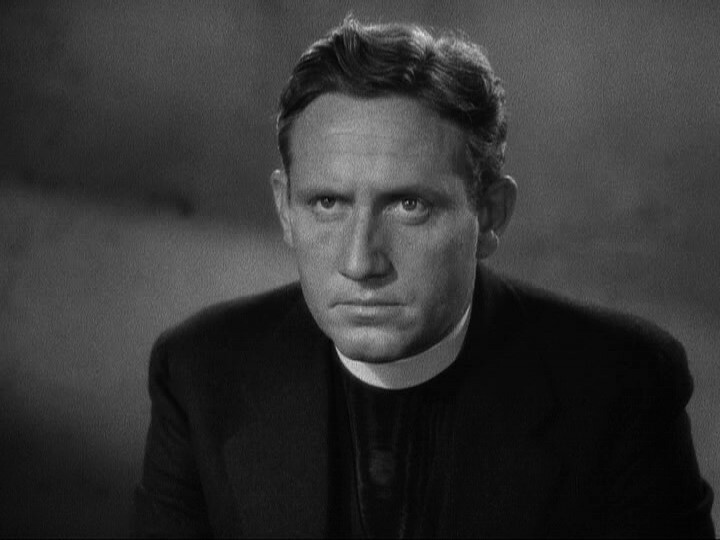 At the top of my list is Spencer Tracy. I, personally, have seen 31 Tracy films, but none are on The Top-1000. His finest film “Man’s Castle” should be on there. But, oh, well. Here are some other surprising no-shows-: Ray Milland, Robert Taylor, John Garfield, Daniel Auteuil, Susan Hayward & Loretta Young. But there are more, read below. Here’s a more thorough listing… As you can tell, there are many modern performers on this list, which reflects the TSPDT-1000’s lack of ‘extremely’ modern film content." The list follows after the break. See if you can think of any other noteworthy actors who don't have a single film in the TSPDT 1000. I thought of one more - David Niven!